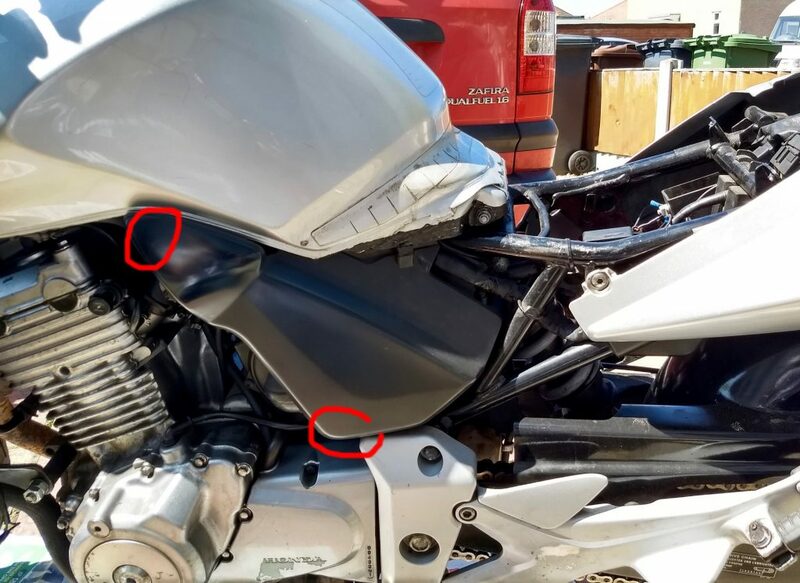 Before you jump on your bike it’s highly recommended you run through a few pre-ride checks to ensure your bike’s in good condition and won’t leave you in trouble. t’s advised going through these before each ride or at least every few days if you ride daily. Yep, it’s a funny acronym to help you remember all the stuff you should check. This is one I was taught as part of my IAM training and can be found in the RoadCraft book. Just about to overtake and despatch a slow Sunday driver, you pull out, road clear, give the throttle a good twist and leave them for dust. But no – Grrrr! Clutch slip! The rev counter flies round, the engine screams for mercy, but you’re not going anywhere – eh?! Seconds later the clutch finally grips and wham! forward you finally shoot. 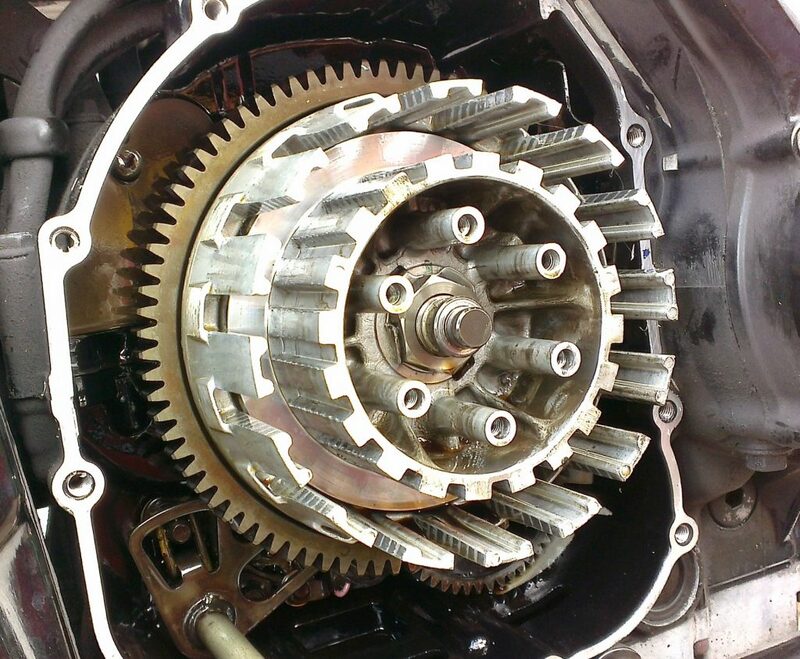 A worn clutch slipping has to be one of the most infuriating issues to put up with. 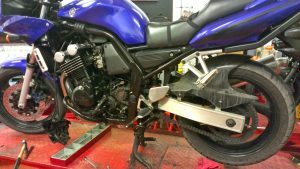 On buying a second hand bike it’s always best to give it a thorough service to ensure it’s in tip top condition and there are no ugly surprises. 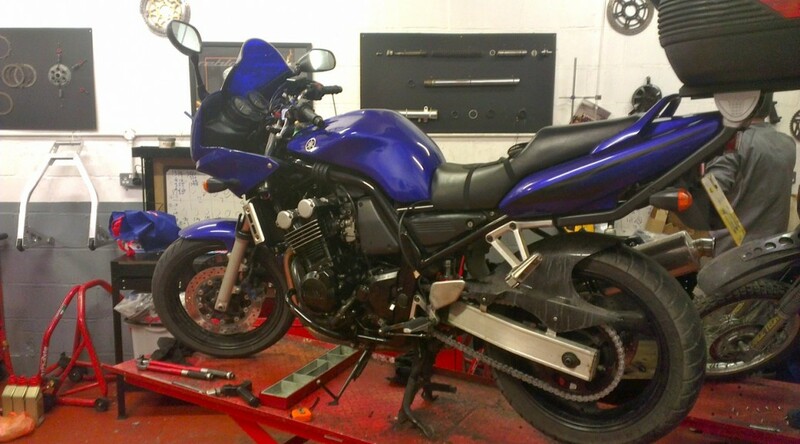 The seller had informed me this CFB500 was due it’s yearly service, so I set about completing all the usual chores: new air filter, oil change and new filter, new spark plugs, cleaning brakes, checking clutch/throttle play, checking chain tension, emptying breather tubes and generally greasing everything as needed. I like the Haynes manuals for jobs like this, both as a check list of jobs and for info on bike specifics. 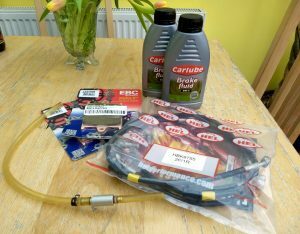 I also gave the carburetors a balance and doused the bike in ACF50 whilst I had the tank off. Being a twin, balancing the two carbs was a doddle. A quick whizz round the block confirmed everything was running sweet and a well deserved cuppa was in order. 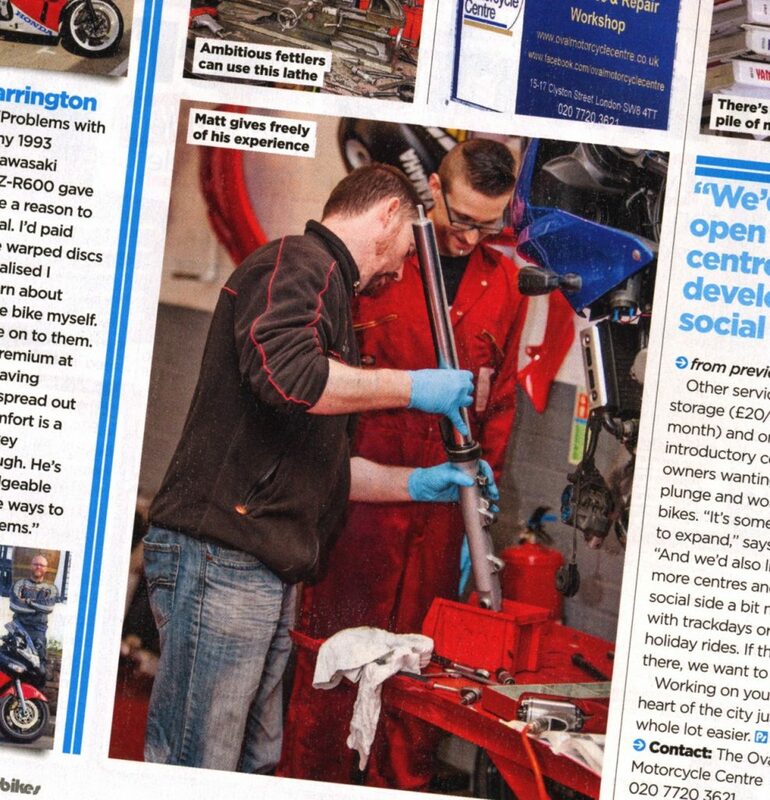 Here I am in a fetching red boiler suit (OMC supplied) being shown by onsite guru Matt how to sort out my forks. 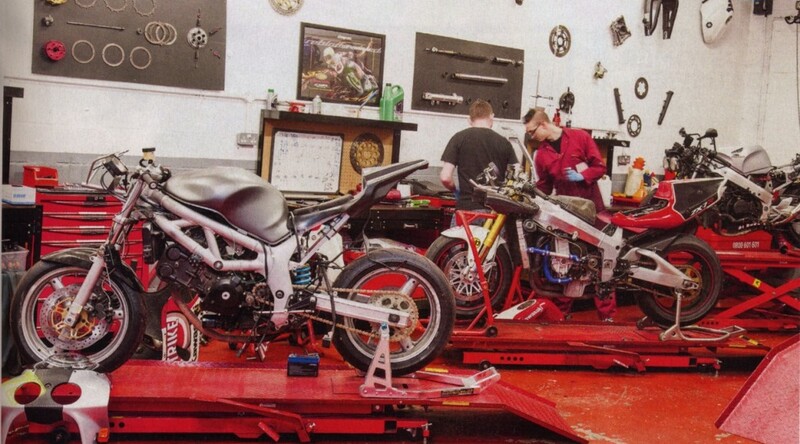 Read the full article in the May edition of Practical Sportsbikes, or just pop down OMC and check your bike out. What a productive day, down at OMC (Oval Motorcycle Centre). 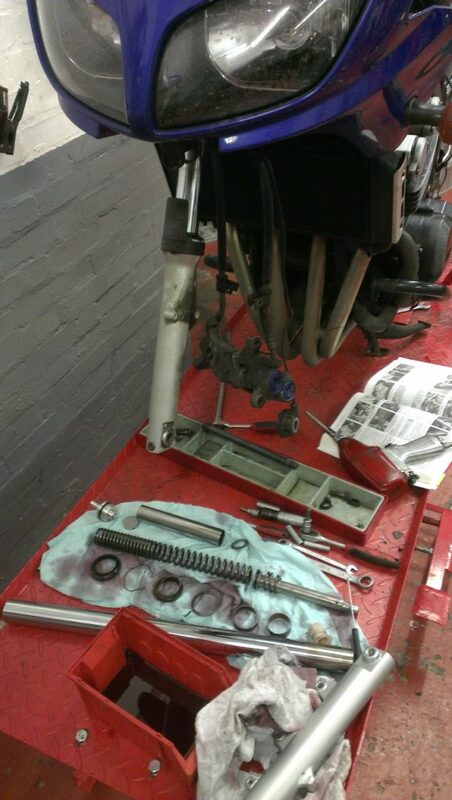 Booked myself a bench and with the expert help of OMC’s Matt, I replaced the Fazer’s chain, sprocket and rear shock. 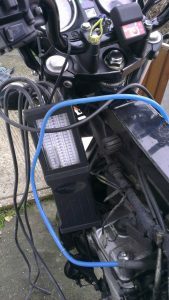 Sure, I could have just dropped the bike off at a regular garage to do the work in a couple of hours, but down at OMC I not only got the work done well, but learnt how do it myself for the future. 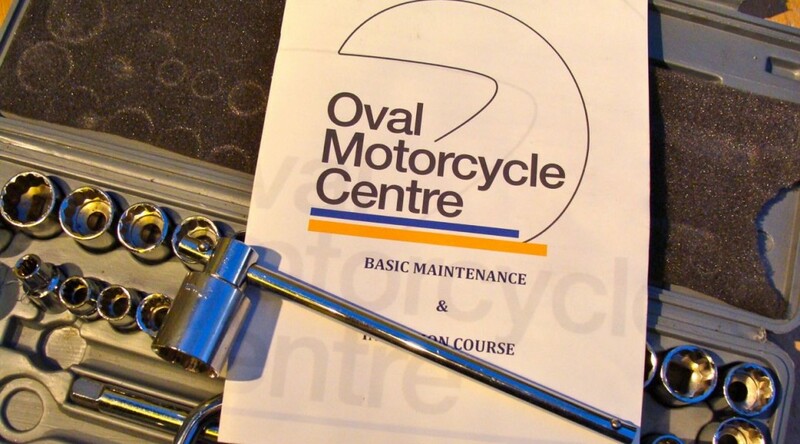 Last night I finally made it along to the Oval Motorcycle Centre’s (OMC) Basic Maintenance and Inspection Course. Something I’ve been meaning to do for some time, but never got round to it. 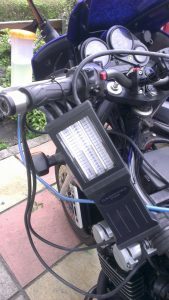 The course covers all the basics of bike maintenance, starting with electrics (switches/lights), then blitz’s through, tyres, brakes, bearings (wheel, head race & swinging arm), chain, forks/shocks and finally control levers and cables.